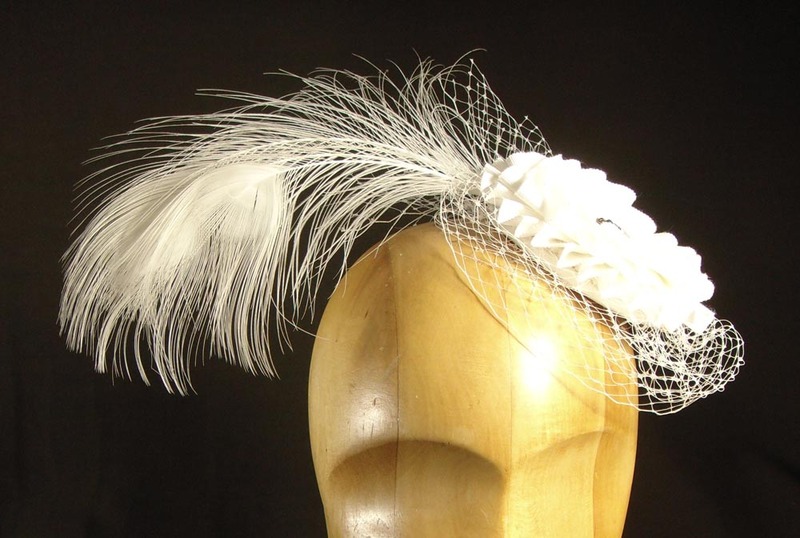 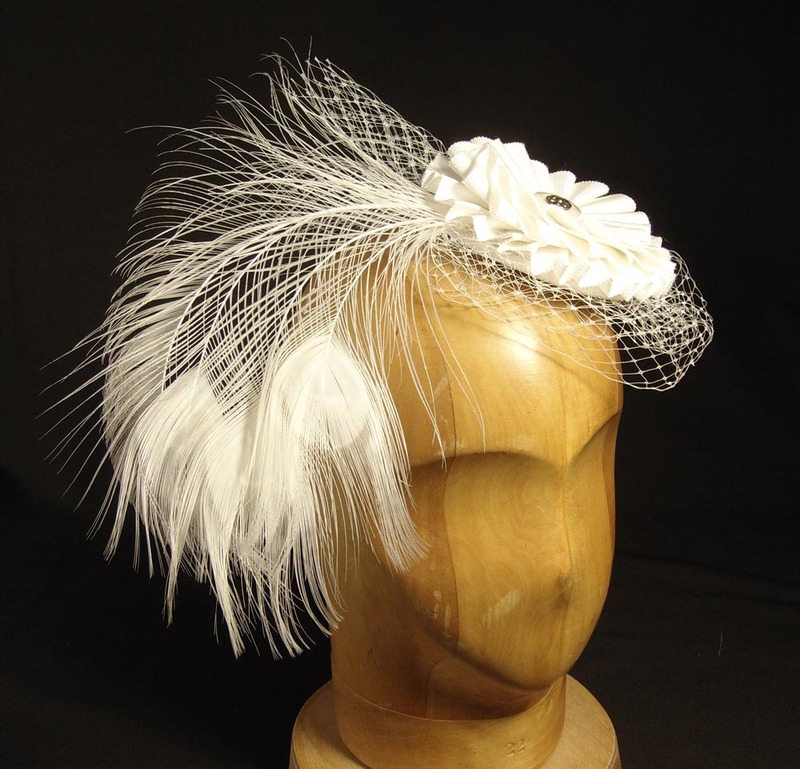 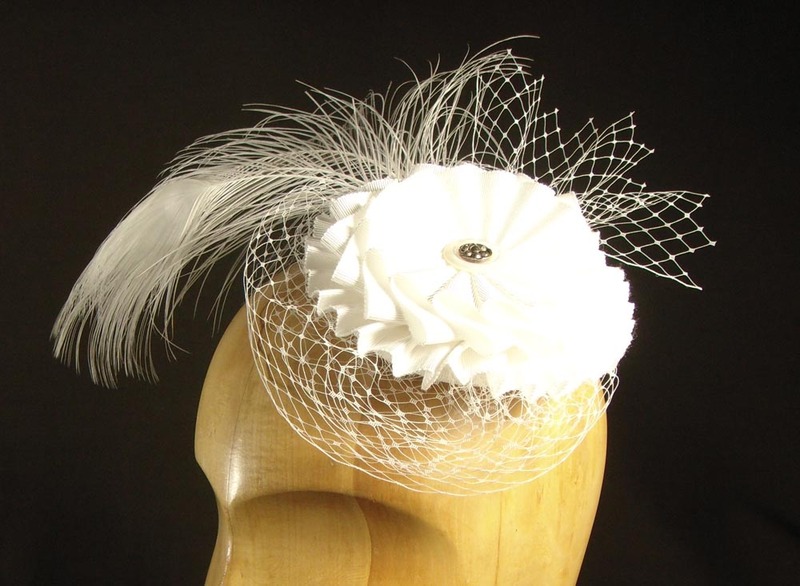 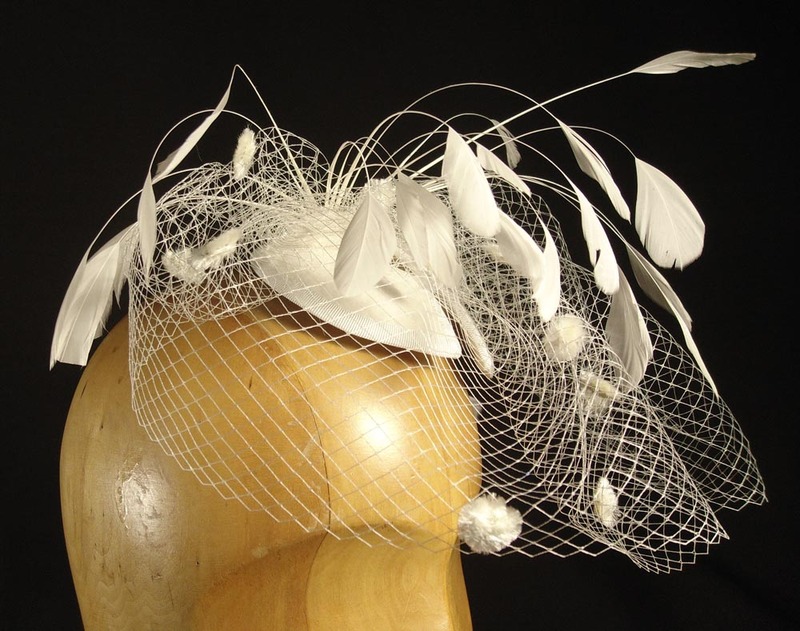 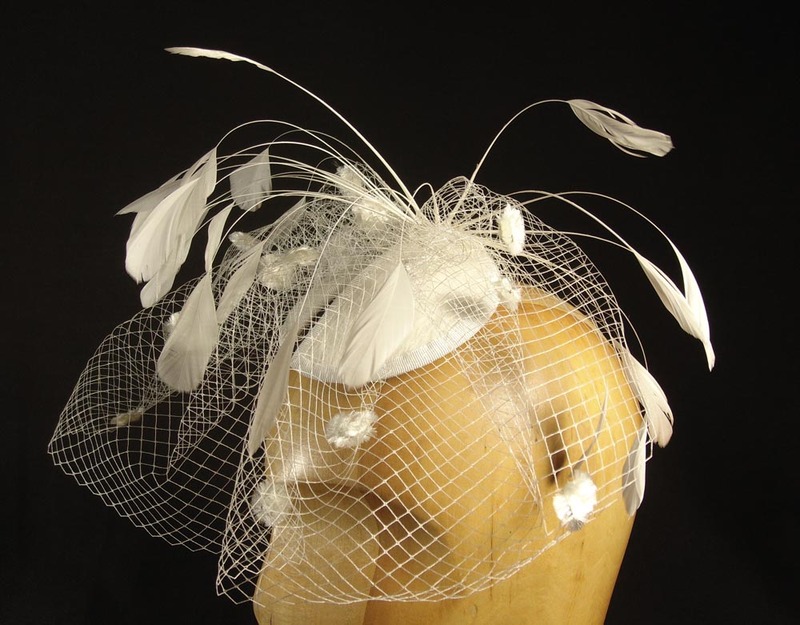 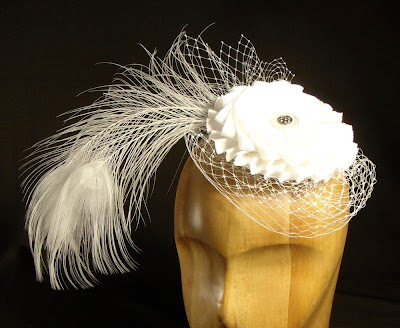 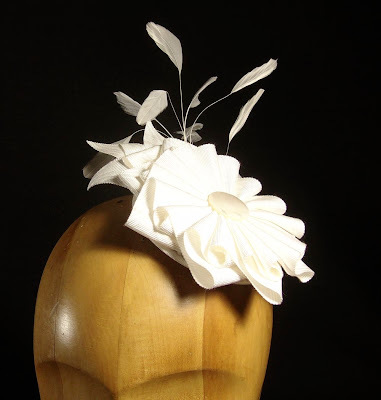 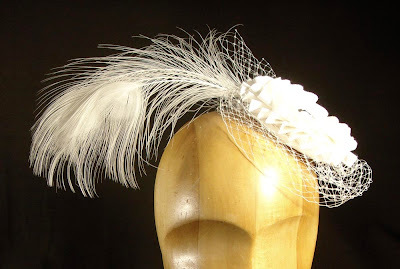 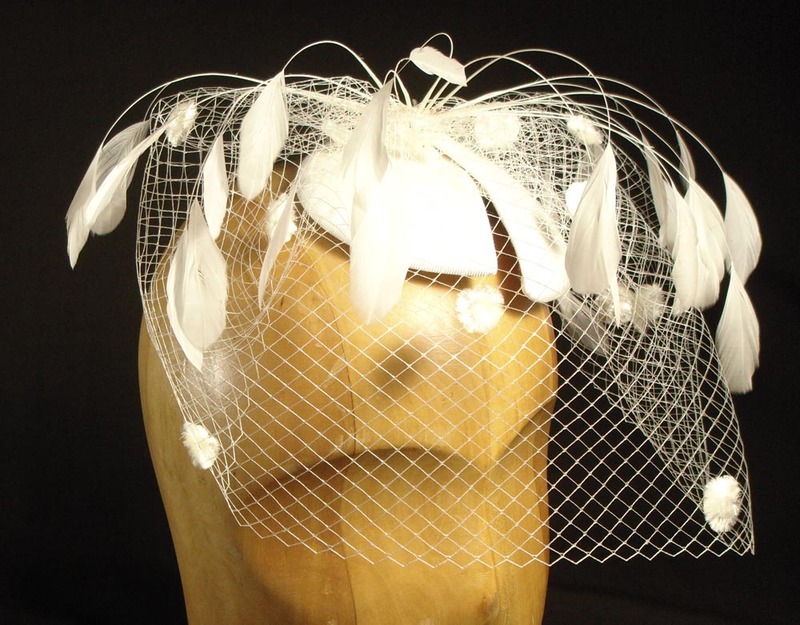 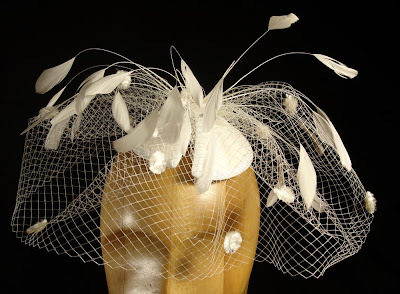 I've just posted my new line of bridal cocktails hats to Etsy and Smashing Darling. The 'Ladybird' is two half-moon shaped felt pieces mounted on a wired base, halo-ed with dotted veiling and stripped coque feathers. 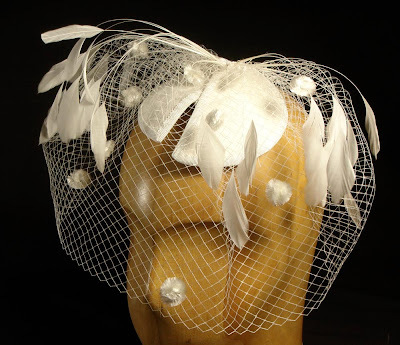 The feathers shimmer and bob around your face. This one in ivory. 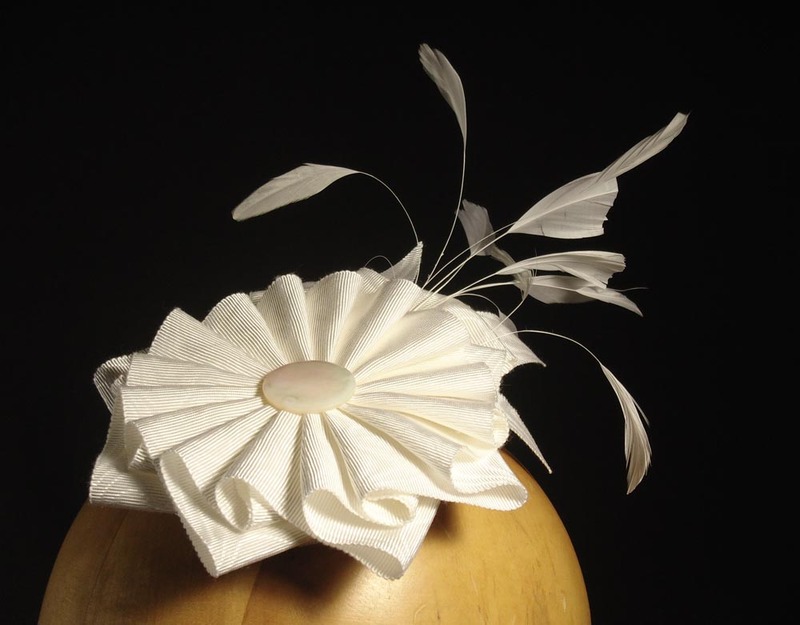 More colors coming soon. This one a big ribbon cockade in soft white with a mother of pearl and marcasite button, a little frill of veiling, and peacock feathers. 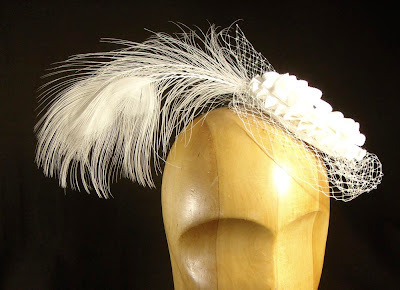 I bought the entire stock of the only supplier I could find for rare white albino peacock feathers-- the birds only molt once per year. 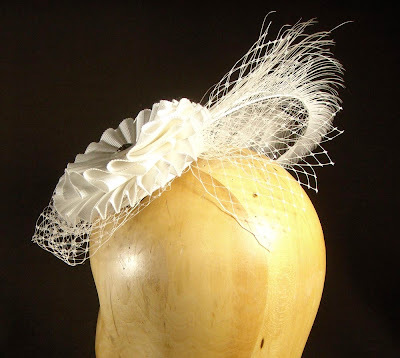 And the last, just a little something. 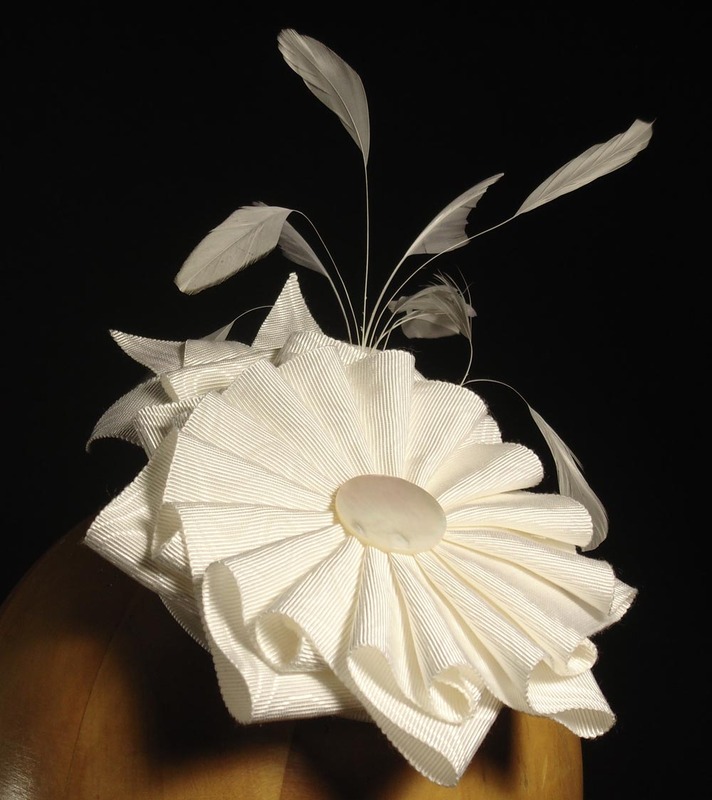 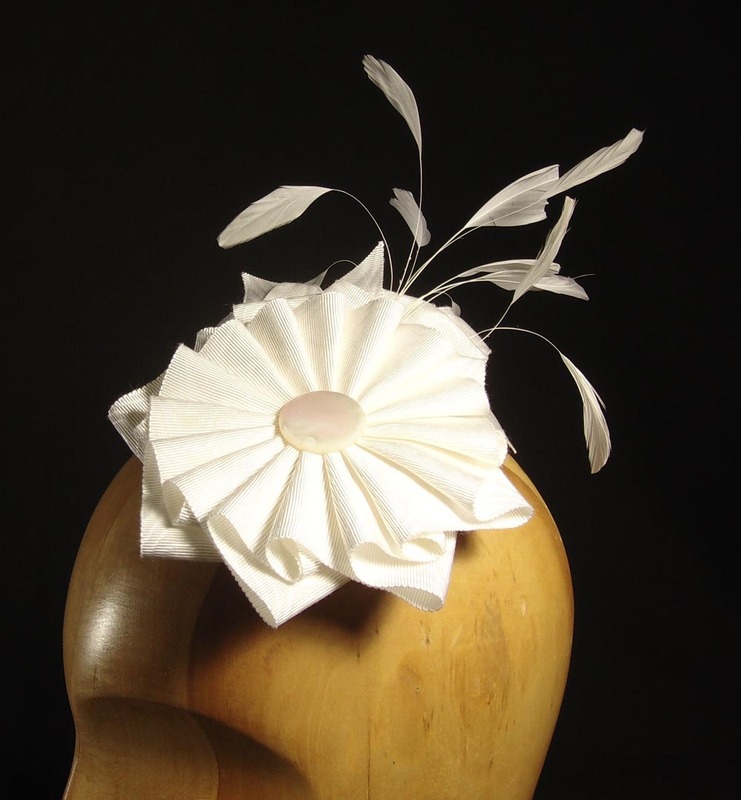 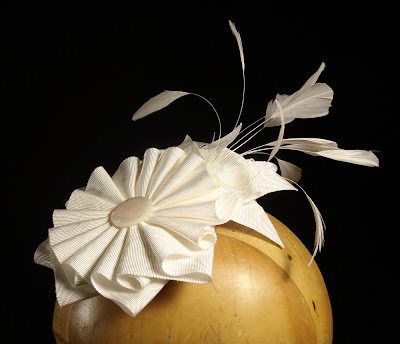 A white moire ribbon cockade with a spray of stripped coque feathers and a large mother of pearl button, mounted on a fur felt base. Next up: Mini top hats, derbys, and crowns in bridal colors.